David’s family had been to Trasacco many years ago to find the origin of their family and had obtained several certificates and documents that told only a part of the story. It was apparent that his ancestor Raffaele was not born in Trasacco but there was no indication of where he might have been from. He did not marry there, although he did ‘recognise’ a child who was David’s Grandfather. American records told another story, one of several ‘siblings’ with diverse surnames and the name of the ‘mother’ whose name appeared on two of the daughter’s birth certificates and on one son’s birth record. Only Michele bore his father’s surname. He asked me to see if I could find out more so I went to Trasacco and was unable to do more than get copies of the original documents Kris already had certificates for along with copies of some baptism records. The civil records are not indexed so the staff is very reluctant to do searches. We appeared to be at a standstill until David’s DNA test connected him with two ‘cousins’. One of these matches indicated that the family were from the town of Casalvieri in the Province of Frosinone. Quite a distance from Trasacco in Abruzzo! A search of the parish records of Casalvieri revealed a potential match for Raffaele but with a wife and several children. Could this be the same Raffaele? 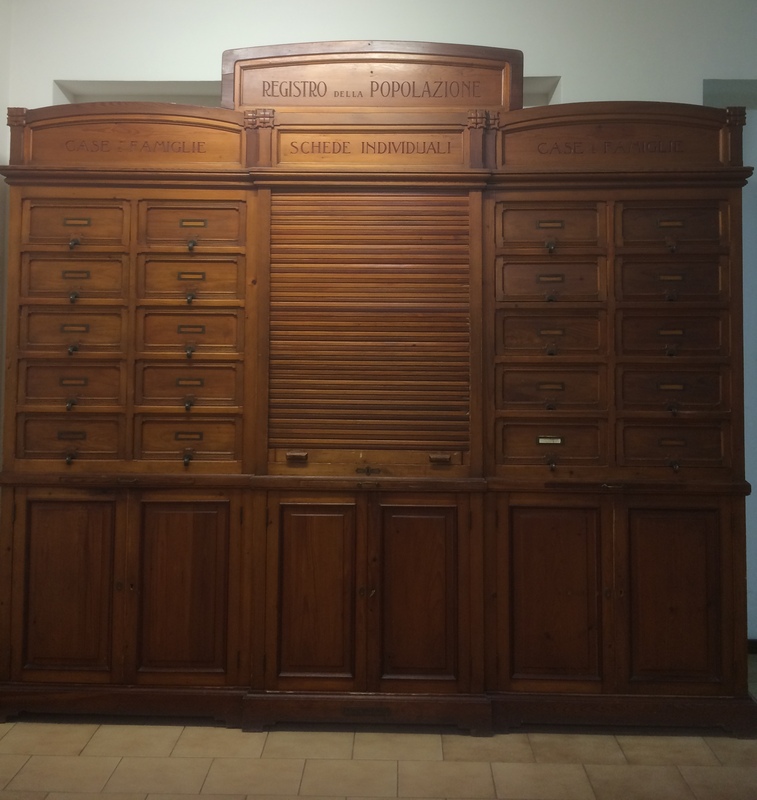 It is important to understand how the Stato Civile and anagrafe offices in the town operate and the kind of records they keep to understand why we cannot trace Raffaele and the Maria, the mother of Michele in Trasacco. The Stato Civile registers, births, marriages and deaths and keeps track of citizenship records and the electoral roll. If none of these events occur, you will not be found here. The anagrafe office keeps track of ‘residents’, their addresses, professions, etc. A resident is one who registers with the town, and is therefore eligible to vote. A local policeman will be sent to the address you give to make sure you are actually living there. You can be ‘domicilato’ (living) in a town without being a ‘resident’. 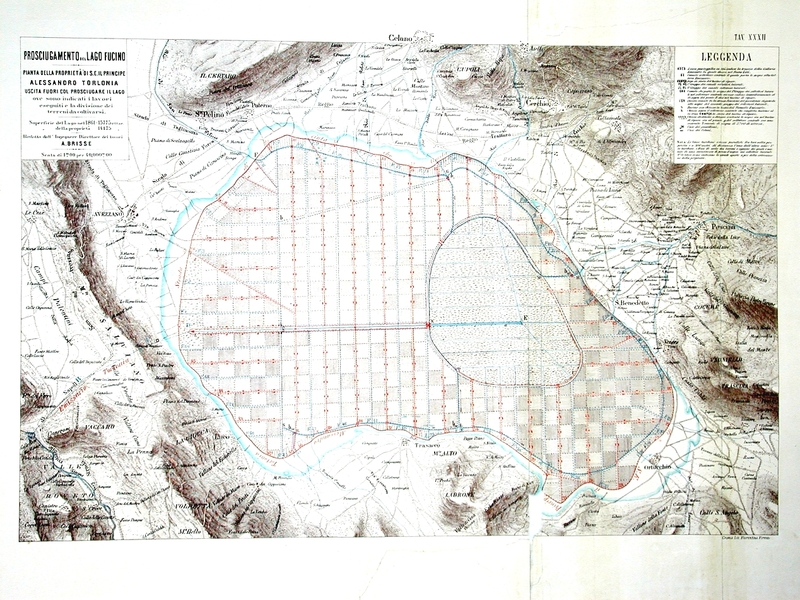 The anagrafe became standardized in Italy in 1936 although many towns started as early as 1905. Since Michele emigrated in 1911 we can assume that in Trasacco the anagrafe was in operation since 1905 as we were able to obtain a ‘personal record card’ showing Michele’s personal details, indicating that his father was deceased and giving his current address. On the various birth records both Raffaele and Maria are described as ‘domiciliato’ in Trasacco. Neither were born there, married there or (as far as I can tell) died there. None of this helped us firm up the connection to Casalvieri until Gloria, another Colucci from Casalvieri who was, so far, not connected to David sent him a copy of a letter sent from Trasacco to Casalvieri. It was written by a Raffaele Colucci and was found in an abandoned house owned by Gloria’s family. This letter is clearly dated 21 September 1880 and signed by Raffaele. The signature is very similar to that on Michele’s birth record. The letter discusses a property that Domenico wishes to buy from Raffaele. He also mentions a Godfather, Salvatore. What else can this letter tell us? Based on the handwriting and language it tells us that Raffaele is educated to at least Grade 4-5. He owns property in Casalvieri. He knows the procedure for transferring ownership indicating that he has done this before. 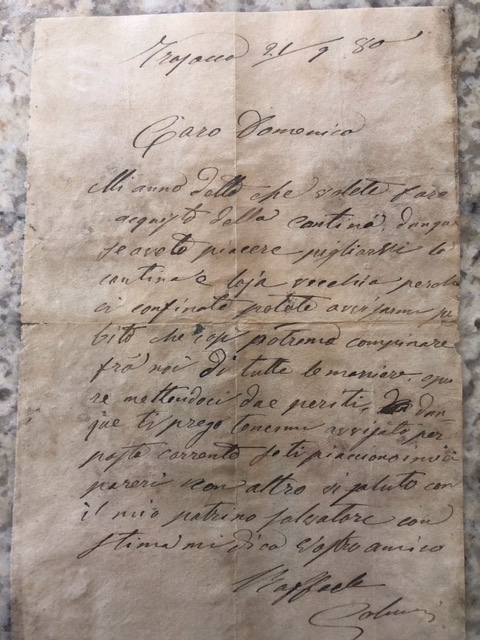 The letter is written in Italian not the local dialect which would indicate that the family has a high standing in Casalvieri. In fact, on Michele’s birth record his profession is recorded as ‘industrialist’. He is still in touch with family and friends; they know how to contact him. He does not mention his wife or children which I find strange if he is writing to a family friend. This might indicate that his wife and family did not accompany him to Trasacco, but he does not ask after them either. From research in Casalvieri it was discovered that his wife died in Casalvieri 1891 so she was alive at the time the letter was written. Her death, however, made it possible for him to acknowledge the birth of his son Michele in Trasacco in 1892. Given his profession as an Industrialist he may well have been involved in the draining of Lake Fucino. A project that took many years and completely transformed the area from fishing to agriculture. It would account for his prolonged stay there. The fact that the lake was reputed to harbour malaria may be the reason he did not take his family with him to Trasacco. Now that we have narrowed down Raffaele’s death year we can ask Trasacco to search for that. We will also get the civil documents from Casalvieri and find out what happened to Raffaele’s other children and their descendants. Thanks to DNA testing, Gloria’s amazing find and a lot of luck, David has managed to locate his ancestor’s town of origin and is well on his way to developing his family tree to its maximum.